Minutes of Open Sessions — The minutes of open meetings of the Board of Directors shall show at a minimum the date, time and place of the meeting, the members present, all motions, seconds, and the vote of each member on each issue, with any financial records of receipts and expenditures attached. The minutes of open meetings will be kept on file as the permanent official records of the District. 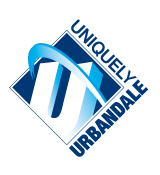 The Board Secretary shall act as custodian of the minutes and shall make them available to any citizen desiring to examine them during usual office hours of the District, at 11152 Aurora Avenue, Urbandale, Iowa. Any citizen may have copies of such minutes made in accordance with the District’s policy on disclosure of public records. Minutes awaiting approval at the next Board meeting will be available for inspection after the Board Secretary transcribes the notes and has made them available to Board members. The Board Secretary shall furnish a copy of the proceedings of an open meeting within two weeks following the adjournment of the meeting to a newspaper designated by the Board for publishing Board minutes. The published proceedings need not be in as great of detail as the official minutes. The schedule of bills allowed may be published on a monthly basis rather than publication with the minutes. Minutes of Closed Sessions — The minutes of closed sessions shall show the date, time and place of the meeting, the reason for holding the closed session, the vote of each member on holding the closed session, the members present, a synopsis of all discussions and any actions taken at the session. A tape recording shall be made of the closed session. The detailed minutes and tape recording of a closed session shall be sealed and shall not be public records open to public inspection. The Board Secretary shall act as custodian of the minutes and the tape recordings of closed sessions which will be maintained in a securely locked depository, separate from the regular minutes, for a period of one year from the date of the meeting, after which they will be routinely destroyed (tape erased). Access to these documents will be available only to Board members, appropriate designated administrative personnel and/or upon judicial order. When a closed session is held to discuss the purchase of real estate, the minutes and tape recordings of the closed session will be made available for public examination when the transaction discussed is completed. No minutes need be taken or retained for any meetings exempt from the Iowa Open Meetings Law.